iZettle is a commerce platform that empowers small businesses to take payments, make smarter decisions and get funds to invest in their venture. An easy-to-use card reader can be hooked up to any smartphone or tablet. It’s stylish and modern, and for businesses who don’t require cash payments it’s a very attractive option. For the basic level, there is no monthly subscription fee, no lock-in contracts, and there are daily deposits. The Premium subscription offers advanced inventory management and support options. iZettle offer dedicated Point-of-Sale apps for different industries, and a handy dashboard and invoicing system. 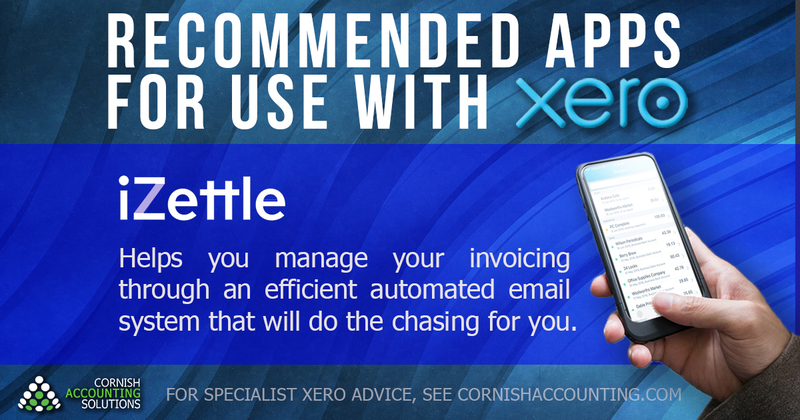 Best of all, iZettle integrates seamlessly with Xero. If you’re looking for a POS app, this one is definitely worth a look!